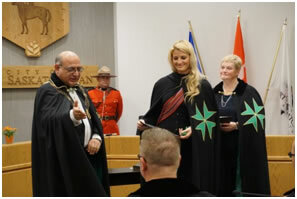 The Hospitaller Order of Saint Lazarus of Jerusalem conducted its first investiture of the Canadian Grand Priory in Fort Saskatchewan on September 22. 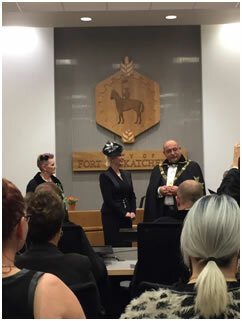 "We were told they could do this investiture anywhere in Canada, but Tami Petroski chose Fort Saskatchewan because she grew up and has deep roots here," Fort Saskatchewan Mayor Gale Katchur said. 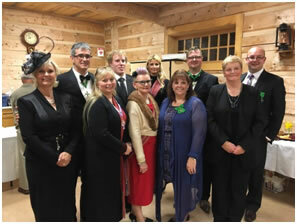 Consoeur Tami Petroski was appointed Chancellor of the Canadian Grand Priory in the Malta Lazarite Congress which was held earlier in April 2016. 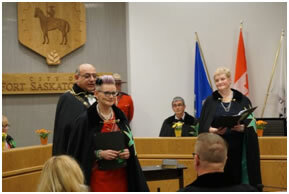 Together with the Grand Prior of Canada, the Chevalier Gordon Ward, they were entrusted to make the necessary arrangements for the first investiture in Canadian soil. 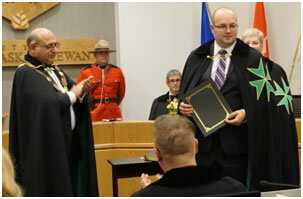 The ceremony on Thursday evening was conducted at the City Council Chambers and honoured the City of Fort Saskatchewan for the response helping the evacuees from Fort McMurray after the wildfires early in May. 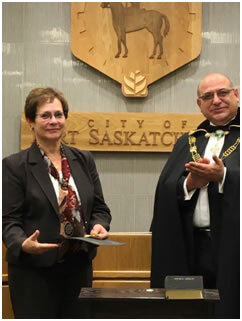 Mayor Gale Katchur accepted a Civilian Award of Merit for the city. 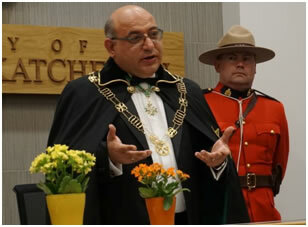 "It was a huge honour to be awarded with their highest honour," Katchur said. 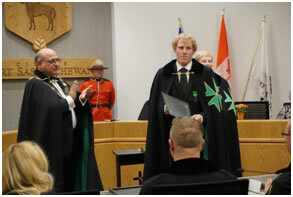 "Really it's for all the citizens of Fort Saskatchewan for everything they did to help during the wildfires. 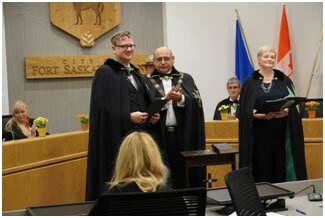 I'm fortunate to be the mayor and accept it on the citizen's behalf. The order was unknown to me, but after hearing their stories about how they take people out of being impoverished or jailed beyond their control, I think they hold true to the values of most of our citizens. It's about compassion and looking after the most vulnerable. It's heartwarming we have citizens as part of this organization." 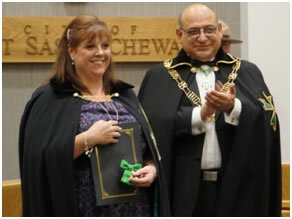 Ed Stelmach's wife Marie also accepted a Civilian Award of Merit on behalf of Ed Stelmach for his charitable work with the Ed Stelmach Foundation and public service. Ed Stelmach was the 13th Premier of the Canadian Province of Alberta, from 2006 to 2011. The investiture service and the reception afterwards, held at the historic Fort, was a huge success with twelve postulants joining the Order. 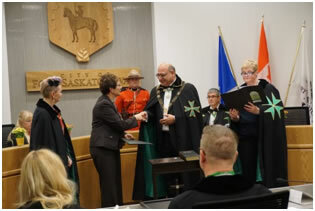 Congratulations should go to the very active team under Canadian Grand Prior Gordon Ward and Chancellor Tami Petroski, who also has a long family tradition of serving in Council at Fort Saskatchewan.